That seems to be the exact feeling and attitude of many people in India including those, who are occupying important posts in Governments also. 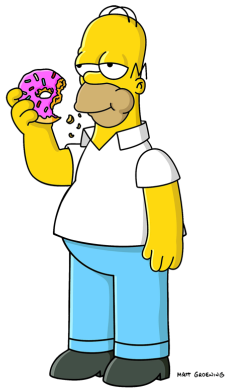 The irony of it is that these people keep using English language as means of communication, yet seem to have the exact attitude of Homer Jay Simpson. I am reminded here of a popular TV serial produced by BBC; “Mind Your Language” in late-1977. 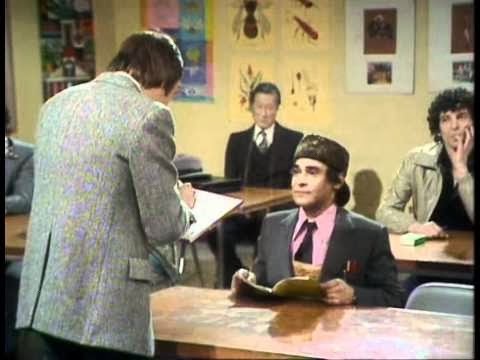 The serial was set in an adult education college in London and focused on the English as a Foreign Language class taught one Jeremy Brown, who had to deal with a motley crew of foreign students. The students are shown as from different nationalities such as India, Pakistan, Italy, Germany, Spain and China. All of them have their own accent and peculiarities, while interacting with fellow students and the teacher. This makes the show, a highly humourous and entertaining comedy in true BBC traditions. I am not much concerned here about the debate that whether such abuse of a language, degrades it or actually strengthens it. According to me it surely does one thing, it creates howlers that are highly entertaining without least doubt. Talking specifically about India, most of the times the text becomes incredibly funny because it has been translated from an original text written in one of the Indian languages. Translation is a tricky business and unless it is done by someone who has a proficiency in both the languages, it usually produces highly hilarious effects. Take for example this paragraph from a text book in Geography prescribed for students in India's state of Gujarat. It is clear that the text has been translated from original Gujarati language. Many howlers are produced because the text contains a word, which might be in use colloquially in that region, but has no meaning or a different meaning in conventional English. Many tailors and cloth merchants from my home town Pune, commonly use the word 'Panting' that rhymes rather well with word 'Shirting,' meaning cloth used for stitching a shirt. When any customer visits their shops, they would ask courteously, whether he wants shirting or Panting? I could never understand first, why these guys have started panting after seeing me? It requires lot of effort to figure out what the word Shitter means here. I feel that this guy probably makes seat covers for chairs and two wheelers and hence proudly likes to call himself a Shitter. This signboard however beats them all. No explanations required. 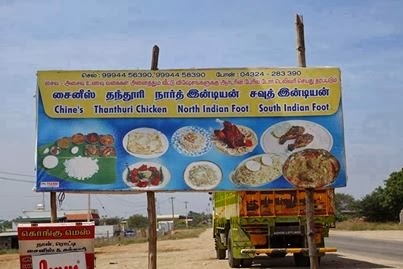 A friend recently sent to me this photograph of a signboard. I am sure that no explanation is needed to enjoy this too. I can go on and on. Readers would understand now, why I wholeheartedly agree with Homer Jay Simpson saying: “ English? Who needs that? I'm never going to England.” May the breed of such wonderful writers create more and more such howlers for us. After all, they bring few moments of Joy in this drab reality, what we call as life.